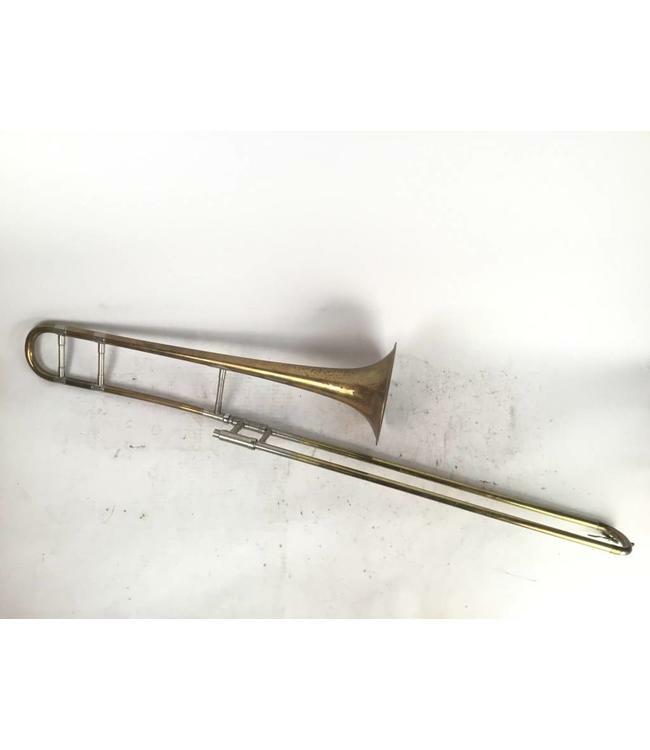 Used Olds Standard Bb Tenor Trombone in lacquer. .495/.510" dual bore hand slide, 7.5" bell flare. Instrument is in good condition apart from lacquer wear throughout and minor dings in tuning slide. Comes with case.